The new Students Inspiring Students initiative was in full celebration Wednesday night at Alhambra High, which received more full-tuition rides (25) than any other school. It was yet another indication of how far Alhambra has come in Claudio Coria’s tenure as principal, but it also was an obvious sign to Coria, parents and students how much GCU has helped, too. 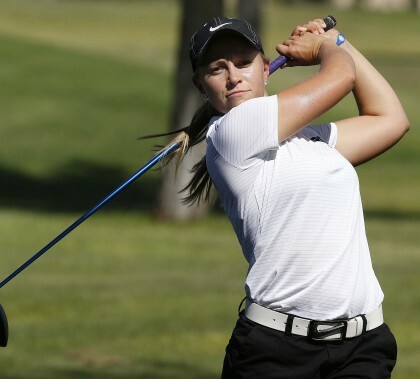 Brittany Holen had passion and determination to play golf when she arrived to campus in 2012. A member of the Honors College, Delta Mu Delta and a leader in the women’s golf team — Holen accomplished that and more. It was no surprise she was named one of nine Outstanding Senior award recipients for the graduating class of 2016. At the Celebration of Excellence by Rodel Foundation of Arizona, GCU’s former Rodel Promising Student Teachers, Patricia Messner and Amber Loyd, were recognized for having completed their three years of teaching in high needs schools. 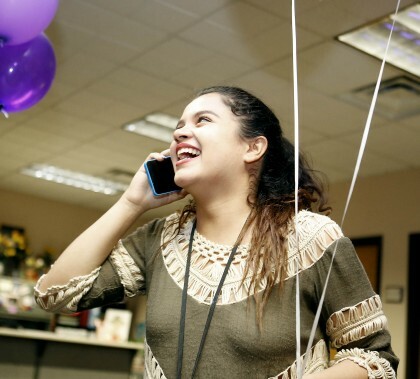 Karina Sahagun and her sisters were adrift after tragedy struck their family, but GCU’s Donate to Elevate helped fund tuition at Bourgade Catholic High School, which helped provide stability. Paint was peeling from Nancy Medina’s four-bedroom house before volunteers from Habitat for Humanity, funded in part by Donate to Elevate, gave her house a new coat of paint. This year, GCU employees pledged a record of more than $1.5 million to Donate to Elevate, which will in turn help even more families like the Sahaguns and the Medinas. 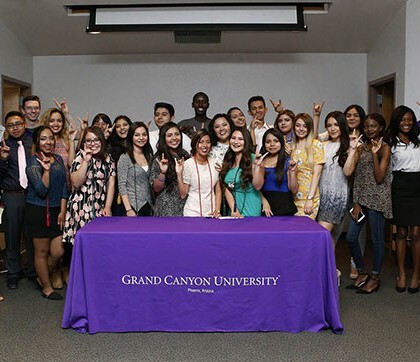 GCU this week began giving out full-tuition scholarships to the first of 100 incoming freshmen as part of its new, pay-it-forward initiative called Students Inspiring Students. Seniors at Maryvale and Betty Fairfax high schools were all smiles after receiving the scholarships. At at its core, the initiative is about students helping students and the impact it can have in inner-city schools in Arizona. 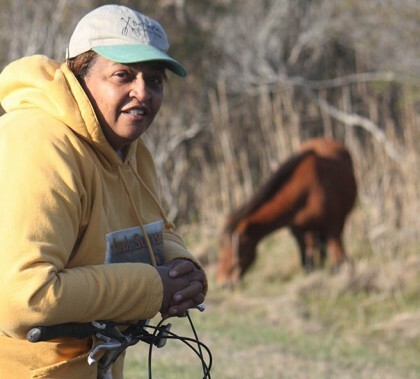 Karen Susanne Banks, a woman who loved her family, the wilderness and teaching, died nearly seven months before she could receive her doctoral degree in Educational Leadership. It was the first posthumous degree awarded in the college. GCU’s groundbreaking Students Inspiring Students full-tuition program raises academic achievement across Phoenix region. 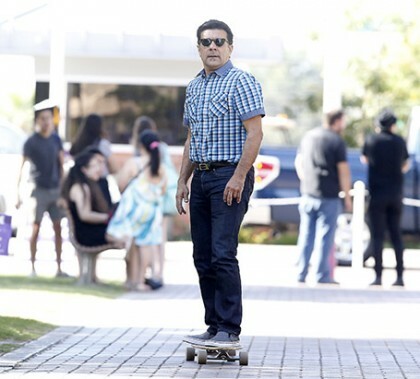 Jon Ruybalid, who just completed his first semester at GCU, is a maverick in a lot of ways — most noticeably when he travels across campus on a skateboard. But he’s also a great role model for students because he can share with them a wealth of experiences he has had in his highly entrepreneurial career.